The Association for Supervision and Curriculum Development (ASCD) is an international non-profit organization for teachers and educators. Its mission is “to develop programs, products, and services essential to the way educators learn, teach, and lead.” The Educational Leadership Magazine is ASCD’s flagship publication that is sent to its members eight times a year; subscriptions and individual issues are also available. 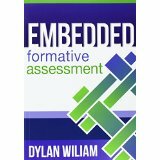 EL’s issue on “Feedback for learning” (Vol. 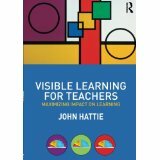 70/1) brings together renowned experts in this field: Grant Wiggins, John Hattie, Susan M. Brookhart, Dylan William and many more. The educators and researchers share valuable insights about what feedback is (and isn’t) and how feedback works to improve learning. 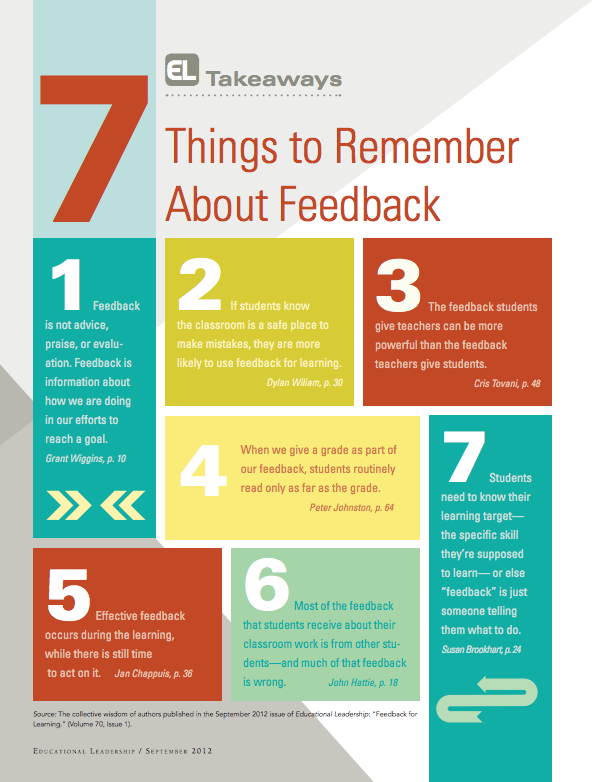 As a quick takeaway EL has put together this handy infographic with an overview of seven things to remember about feedback. You can download the infograpic at www.ascd.org (PDF). You can order your issue of Educational Leadership (Vol. 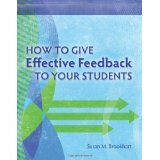 70/1) “Feedback for Learning” at shop.ascd.org. 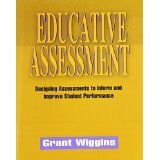 Here is a selection of books by Grant Wiggins, Susan M. Brookhart, Dylan William and John Hattie if you want to dive deeper into some of the aspects of effective feedback and formative assessment in the classroom. 7 other websites write about for "Feedback for Learning – Infographic"